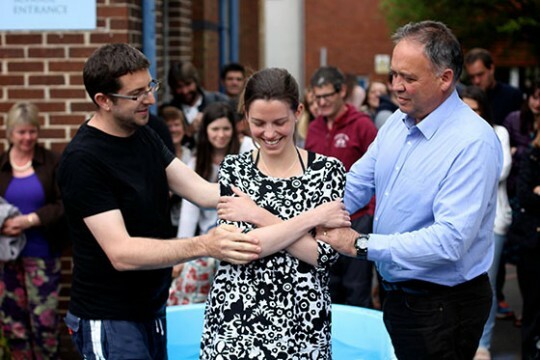 On the occasion of the baptisms of Jackie, Hannah and Clare we considered what this event means and its significance for those being baptised and for those witnessing this important moment. Stuart Alred, pastor of Grace Church, spoke from Matthew 28:19-20. My Story: Jackie, Hannah and Clare from Grace Church Exeter on Vimeo. Our next Baptism Sunday is scheduled for August 23rd 2015. If this could be an appropriate next step for you please contact Ministries Coordinator Dave Bish.